Comcast is about to give its products and services a huge boosts – from visual improvement, speed enhancement and more control for consumers who partake of what they offer. Â The company has just announced a new branding for their technology platforms and products called XFINITY. According to a post on the Comcast Voices blog, XFINITY will provide their customers with more than 100+HD channels, 50 to 70 foreign-language channels, almost 20,000 Video-One-Demand choices, 50mbps to 100+mbps internet speeds and of course thousands of shows and movies online. Once it is is officially launched, all of Comcast’s products will now be calledÂ XFINITY TV,Â XFINITY Voice andÂ XFINITY Internet. Comcast’s new branding will be rolled out in 11 markets -Â Boston, Philadelphia, Baltimore, Washington D.C., Chicago, Portland, Seattle, Hartford, Augusta, Chattanooga, parts of the Bay Area and San Francisco, plus more to come next year. The decision to rebrand their products and services was brought about by the sudden explosion in Comcast’s service delivery since the day they have launched their VOD service sometime in 2003. Since then, the company has served 14 billion views comprising of movies, TV shows, music videos, and more. Even its Internet service has grown so fast that they can now provide up to 50mbps speed and will continue to increase some more. And as technology continues to improve, Comcast and its XFINITY products and services will also grow and keep up with the changing demands of consumers in terms of partaking various media content. 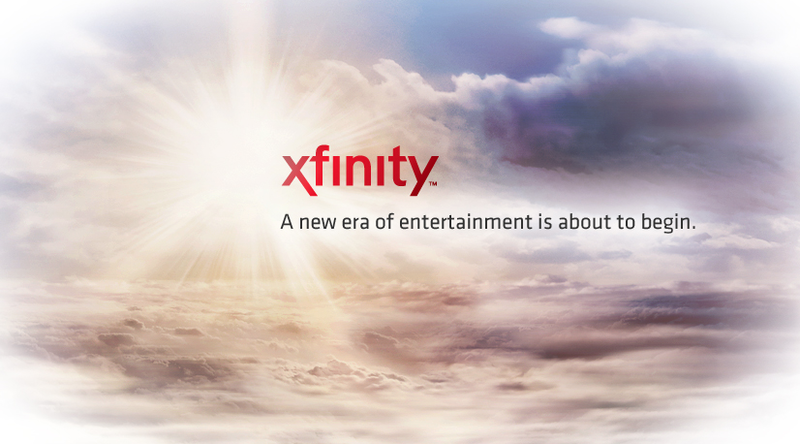 Hence, XFINITY seems to be a very appropriate branding. More than 10 million AT&T broadband subscribers will soon have free unlimited access from its nationwide Wi-Fi network. The offer delivers an annual saving of $60 for AT&T broadband customers, and an annual saving of nearly $240 compared with AT&T Wi-Fi costs for consumers who do not have an AT&T broadband plan. The enhancement plays directly into the company’s efforts to increase the value of broadband by adding more ways for consumers to stay connected to their worlds. The free Wi-Fi offer will be available to new and existing customers who subscribe to any of AT&T’s broadband services with downstream speeds of up to 1.5 Mbps, 3.0 Mbps, or 6.0 Mbps. Free Wi-Fi access was initially provided to the company’s higher-speed broadband customers last year. Hotel chain Marriott is getting more into free wireless Internet access around the properties of five of its brands. The total number of non-cost Wi-Fi locations for Marriott now stands at around 1,500. Marriott said that, after introducing free guest room high speed and Wi-Fi several years ago, it had now expanded the free Wi-Fi to guests in lobbies and other public areas. The brands made part of this new offering include Courtyard, Residence Inn, Fairfield Inn, TownePlace Suites and SpringHill Suites. These free hotspots are only available at hotels in the United States and Canada. Marriott maintains more than 2,900 lodging properties in the United States and 68 other countries and territories. The Consumer Electronics Association (CEA), the trade group for the consumer electronics industry best known for putting on the yearly CES show in Las Vegas, released research today which suggests 72% of American adults have broadband access. They see an increasing demand for content-rich entertainment options and lower prices for access as key factors in future high speed Internet adoption. The research study determined 57.8 million U.S. households subscribe to broadband at home, an increase of 21 percent in the last 12 months. 75 percent of households with Internet access subscribe to broadband. For these households, 65 percent decided to upgrade for a faster Internet connection. For non-subscribers, 15 percent say price is the number one reason they don’t have broadband in the home. Broadband access outside of the home is also on the rise, with consumers going online through work, public libraries, and schools as well as even through portable devices like wireless phones. DSL users who wish not to be tied to their phone company for service now have a new option in limited markets in the form of Earthlink Freestanding DSL. It is priced at up to $19.95 a month for 3.0Mbps of high-speed service. Earthlink Freestanding DSL allows consumers to get around the need to purchase local telephone service in order to use a DSL line. It will initially be available in Verizon territory, including parts of California, Florida, Illinois, Indiana, Maine, Maryland, Massachusetts, Michigan, New Hampshire, New York, New Jersey, North Carolina, Oregon, Pennsylvania, Rhode Island, Texas, Washington state, Vermont, Virginia, Washington, D.C., West Virginia and Wisconsin.